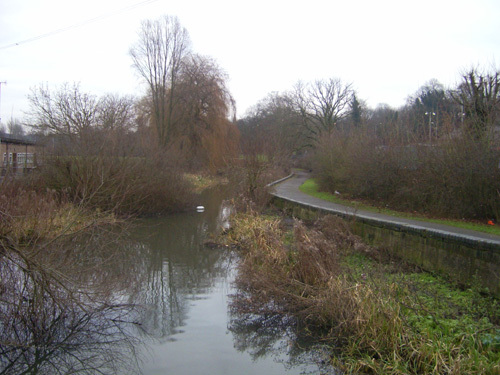 With the river Colne forming its eastern boundary and enclosed by Watford high street, Wiggenhall road and Bushey, Oxhey park, unlike our other parks, is isolated from the surrounding countryside. 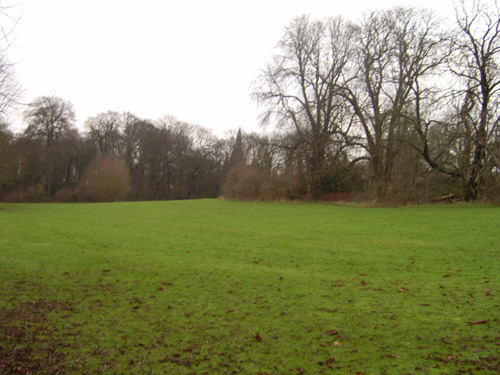 A footpath run alongside the river and through a couple of acres of mature woodland near the high street and for this reason a fair number of people pass through but apart from this Oxhey park is usually quiet, no doubt due to most of the landscape being on a steep incline which precludes sports facilities. 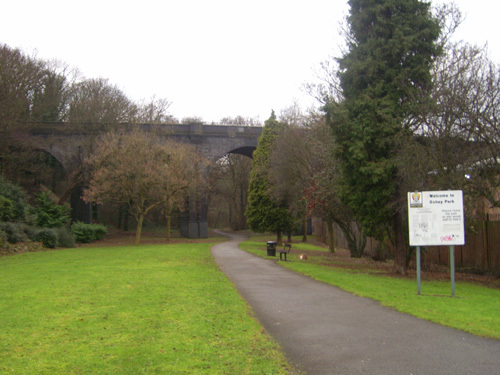 Even at the height of summer the park is quiet; its distance from the town centre being a little too far for it to be used by many people on lunchbreaks and, with recreational facilities being situated in the top corner, there is little to attract children to the rest of the park. The river is slow here and the banks are wide and shallow with lush vegetation and open areas of bare silt, marsh Carabids are numerous here as the banks are rarely disturbed by people. 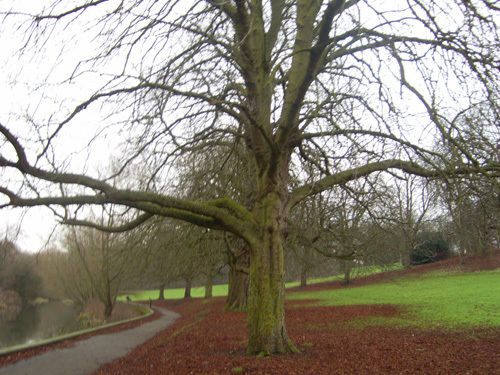 Oxhey park has none of the ancient trees to be seen through Cassiobury park, nonetheless the woodland is varied and contains plenty of decaying wood, flora and fungi to keep the coleopterist busy.